2010 January 07 » Change Myself. Change the World. After 2 months of persistent illness and zero exercise, I was ambushed at CrossFit this morning by the entire SWAT team for the City of Boulder. 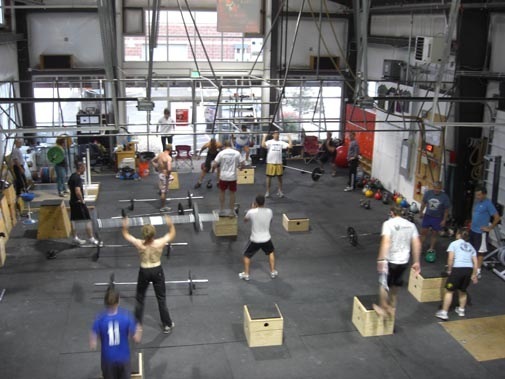 They had come for a hellish workout called Fight Gone Bad: one min at each of 5 stations, 3 rounds for max repetitions. Words cannot do justice to the suffering. I volunteered to take pictures but alas, I was roped into the mess. See What is CrossFit? for more info. January 7, 2010 · Filed under 1. Get fit.